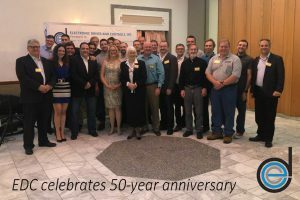 Electronic Drives and Controls thanks loyal employees, customers and partners in celebration of a half century of providing innovative control system integration solutions and field service work for industrial automation and drive technology. 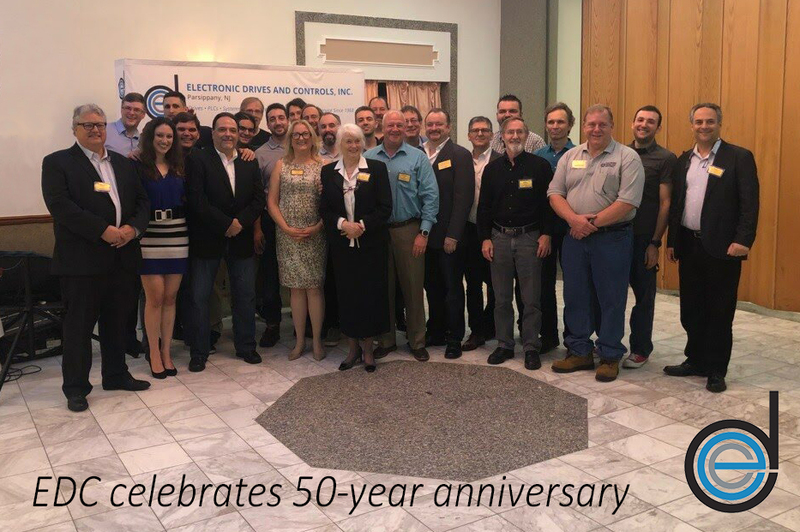 Parsippany, NJ – October 23, 2018 – Electronic Drives and Controls, Inc. (EDC), a leading control system integrator and field service company for industrial automation and drive technology, today announced October 2018 marks the company’s 50-year anniversary. Family owned and operated, the company was founded in 1968 by Henry H. Dillard, Jr. and his wife Naomi Dillard and is headquartered in Parsippany, NJ serving the Tri-State area and beyond. Currently, EDC staff includes three generations of Dillards and 19 engineers and technicians. Naomi Dillard still answers the phone with same friendly southern Georgia accent she had 50 years ago and helps with accounts payable. At the helm of the company are the four children of Henry and Naomi: President, Henry H. Dillard, III, and Vice Presidents, Chuck Dillard, Deborah Dillard-Deluca, and Ben Dillard. During the past 50 years, EDC has built a tradition of excellence in providing its customers with specialized preventive maintenance service and control system integration solutions for AC/DC drives, PLCs and factory automation. EDC is a factory authorized/factory trained service center for over 40 drive brands and has alliances with world class hardware and software providers. In addition, the company provides customers with reliable 24/7/365 emergency support services with a team of highly-trained service engineers on call, ready to respond. The company hosted an open house and party on October 11, 2018 to celebrate its 50-year milestone with EDC’s employees, customers, partners, family and friends. “The celebration was a great opportunity to thank everyone and reminisce the years gone by. As a family, we are proud and honored to be carrying on our father’s legacy 50 years after it all started,” said Vice President Chuck Dillard. About Electronic Drives and Controls, Inc. Founded in 1968, Electronic Drives and Controls, Inc. (EDC) is a CSIA Certified control system integrator with a large field service team specializing in AC and DC drives, PLCs and factory automation headquartered in Parsippany, NJ. Family owned and operated for 50 years, EDC’s team of engineers and technicians has great depth of experience integrating new control systems and breathing life into older equipment. EDC has the engineering capability to design, build, start-up and service projects from the sophisticated to the simple and the service support team on call 24/7/365 to keep it all running at peak efficiency from day 1 and for years to come. In addition to the company’s certification as a Siemens Solution Partner and a Rockwell Automation Recognized System Integrator, EDC is a factory authorized/factory trained service center for over 40 drive brands.